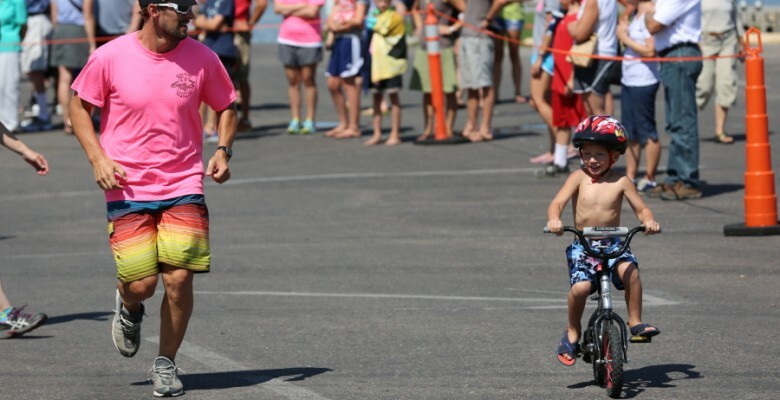 The Polson Triathlon will once again feature kid’s mini triathlons in two distances and age divisions following the adult event. You can find the details and schedule on the Race Info page. These events are all about participation, so we can be flexible about age cutoffs, life jackets, and parental support. Sign up for the mini triathlons will be near the transition area starting around 11:30 am and finishers will get medals at the finish line. The 8 and under group will start first at approximately 12:15 and the 9 and over group will start around 12:35. This entry was posted in 2015 Updates. Bookmark the permalink.